Newcastle Utd have scored 67% of their goals in the first half in Premier League. Newcastle Utd have scored 44% of their goals in the first 15 minutes in Premier League. Torino have been undefeated in their last 6 away matches in Serie A. 67% of Cagliari’s matches had under 2.5 goals in Serie A. 27% of Torino’s conceded goals occurred in the first 15 minutes in Serie A. Real Sociedad have scored 27% of their goals in the first 15 minutes in La Liga. Celta Vigo have scored in each of their last 5 away matches in La Liga. Real Sociedad have failed to score in their last 3 home matches in La Liga. Celta Vigo have scored 2 goals or more in each of their last 3 matches in La Liga. Real Sociedad have failed to win in their last 5 home matches in La Liga. 57% of Racing Club’s conceded goals occurred after the 75th minute in Primera Division (Argentina). 83% of Banfield’s matches had under 2.5 goals in Primera Division (Argentina). Tigre have scored 38% of their goals in the first 15 minutes in Primera Division (Argentina). Racing Club were leading at halftime in 58% of their matches in Primera Division (Argentina). Banfield have scored 33% of their goals after the 75th minute in Primera Division (Argentina). Racing Club have scored the opening goal in 92% of their matches in Primera Division (Argentina). 36% of Banfield’s conceded goals occurred after the 75th minute in Primera Division (Argentina). Racing Club have won 75% of their matches in Primera Division (Argentina). Racing Club have scored in each of their last 12 matches in Primera Division (Argentina). 86% of Racing Club’s conceded goals occured in the second half in Primera Division (Argentina). Sao Paulo have been undefeated in their last 6 matches in Serie A (Brazil). 71% of Sport Recife’s points have been earned at home in Serie A (Brazil). Sao Paulo have scored in 82% of their away matches in Serie A (Brazil). Sport Recife have lost 71% of their away matches in Serie A (Brazil). AGF Aarhus have failed to win in their last 6 matches in Superligaen. 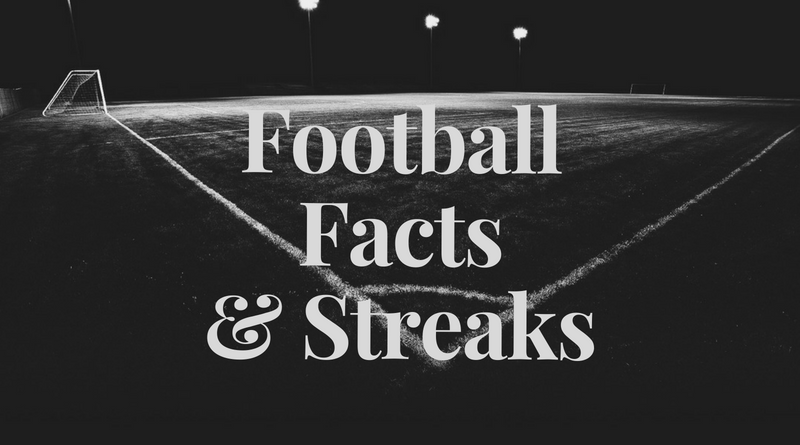 69% of AGF Aarhus’s matches had under 2.5 goals in Superligaen. AGF Aarhus conceded at least 1 goal in 86% of their home matches in Superligaen. AC Horsens conceded at least 1 goal in 75% of their home matches in Superligaen. AGF Aarhus have scored 61% of their goals in the first half in Superligaen. AGF Aarhus conceded at least 1 goal in each of their last 5 home matches in Superligaen. AGF Aarhus have conceded 2 goals or more in each of their last 5 matches in Superligaen. AGF Aarhus have conceded 2 goals or more in each of their last 3 home matches in Superligaen. Metz have won 71% of their matches in Ligue 2. 61% of Metz’s points have been earned away in Ligue 2. GFC Ajaccio conceded at least 1 goal in each of their last 9 matches in Ligue 2. 73% of Metz’s goals have been scored in the second half in Ligue 2. 27% of Metz’s conceded goals occurred in the first 15 minutes in Ligue 2. Metz have scored 38% of their goals after the 75th minute in Ligue 2. Hamburger SV have won their last 3 away matches in II Bundesliga. Union Berlin have been undefeated in their last 13 matches in II Bundesliga. 33% of Hamburger SV’s conceded goals occurred after the 75th minute in II Bundesliga. 62% of Union Berlin’s matches ended up in a draw in II Bundesliga. Hamburger SV have been undefeated in their last 6 away matches in II Bundesliga. 83% of Union Berlin’s away matches ended up in a draw in II Bundesliga. 83% of Hamburger SV’s conceded goals were conceded at home in II Bundesliga. 69% of Union Berlin’s matches had under 2.5 goals in II Bundesliga. Hamburger SV have scored in 83% of their away matches in II Bundesliga. Union Berlin have scored 74% of their goals at home in II Bundesliga. Hamburger SV did not concede any goal in 67% of their away matches in II Bundesliga. Union Berlin have been undefeated in their last 6 away matches in II Bundesliga. Hamburger SV have failed to score in 57% of their home matches in II Bundesliga. Union Berlin have scored 32% of their goals after the 75th minute in II Bundesliga. Hamburger SV have been undefeated in their last 7 matches in II Bundesliga. 38% of Union Berlin’s conceded goals occurred after the 75th minute in II Bundesliga. Hamburger SV have won 83% of their away matches in II Bundesliga. Crotone have scored 36% of their goals after the 75th minute in Serie B. 75% of Nuova Cosenza’s matches had under 2.5 goals in Serie B.
Crotone conceded at least 1 goal in each of their last 6 home matches in Serie B. 80% of Nuova Cosenza’s conceded goals occured in the second half in Serie B.
Crotone have lost their last 4 away matches in Serie B. 47% of Nuova Cosenza’s conceded goals occurred after the 75th minute in Serie B.
Crotone conceded at least 1 goal in each of their last 9 matches in Serie B. 79% of Crotone’s goals have been scored in the second half in Serie B.